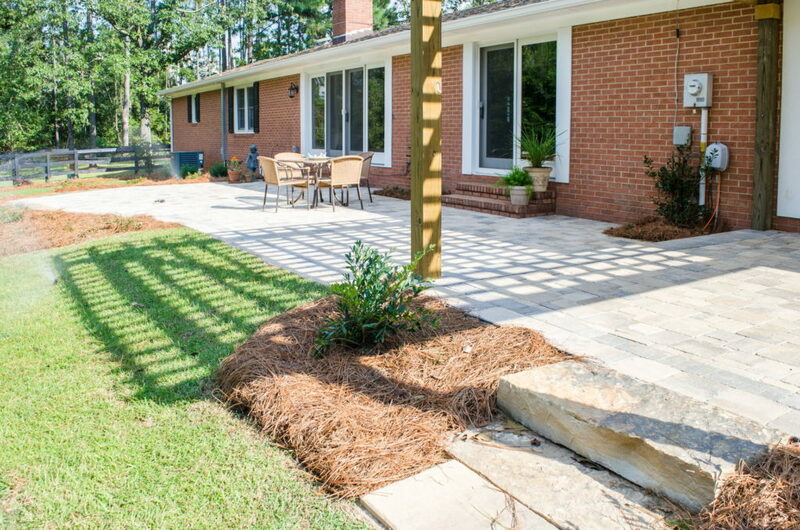 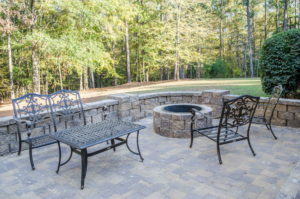 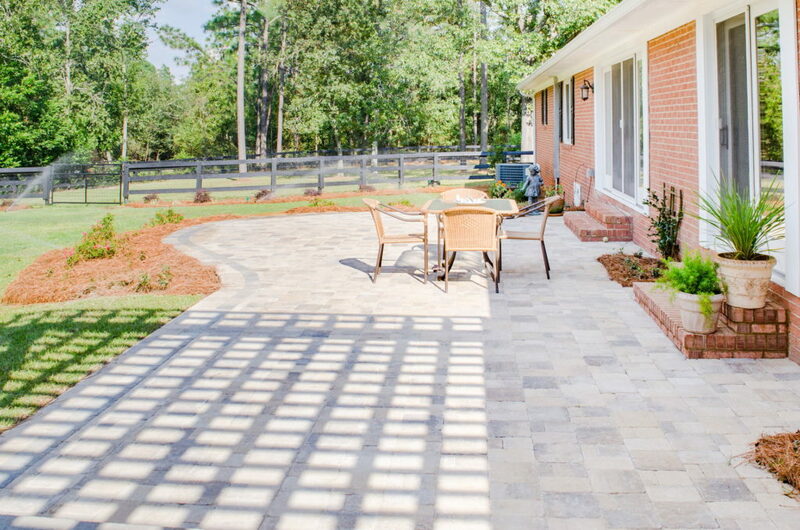 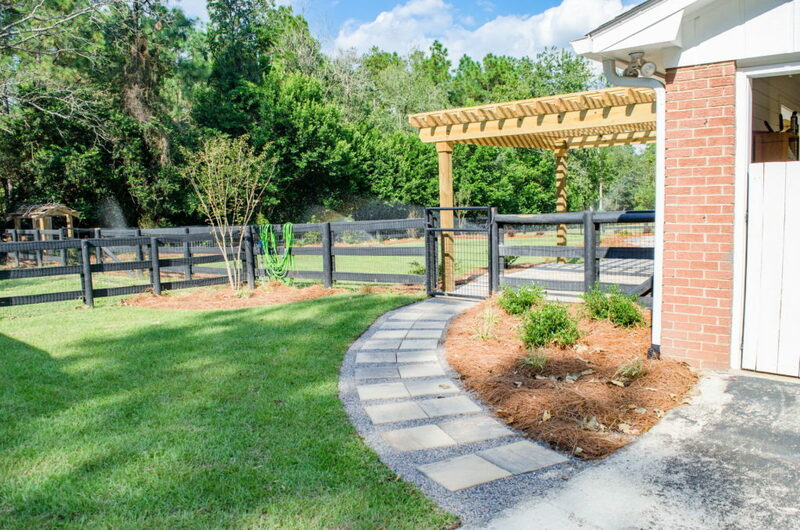 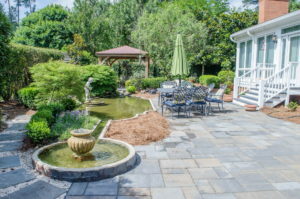 This space we recently completed at an Augusta, GA area home, is both beautiful and fascinating. 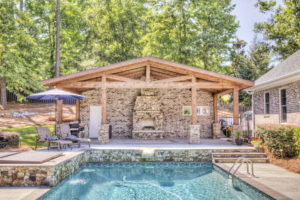 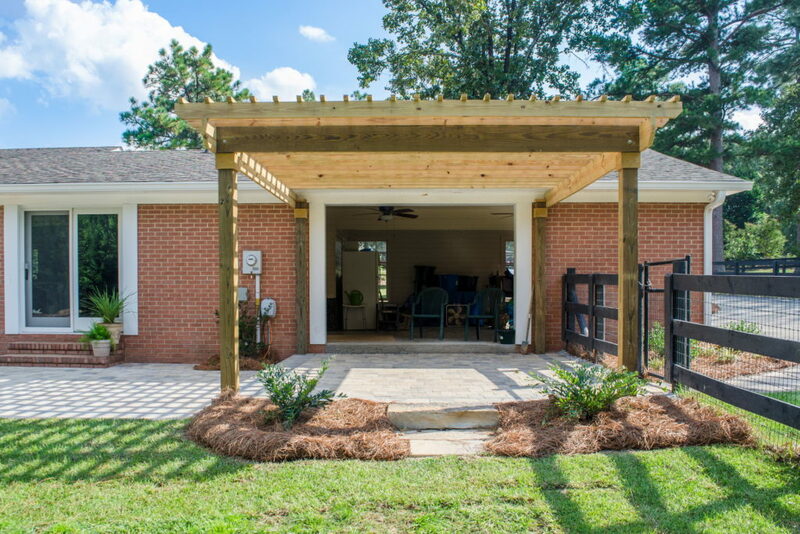 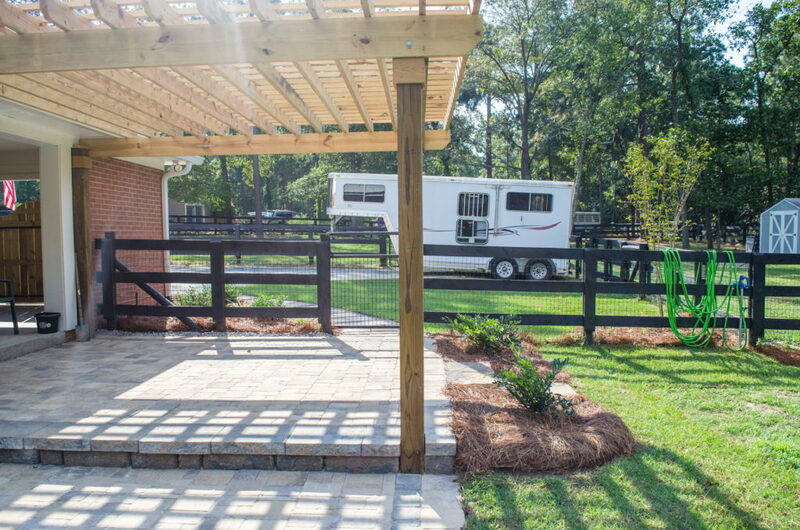 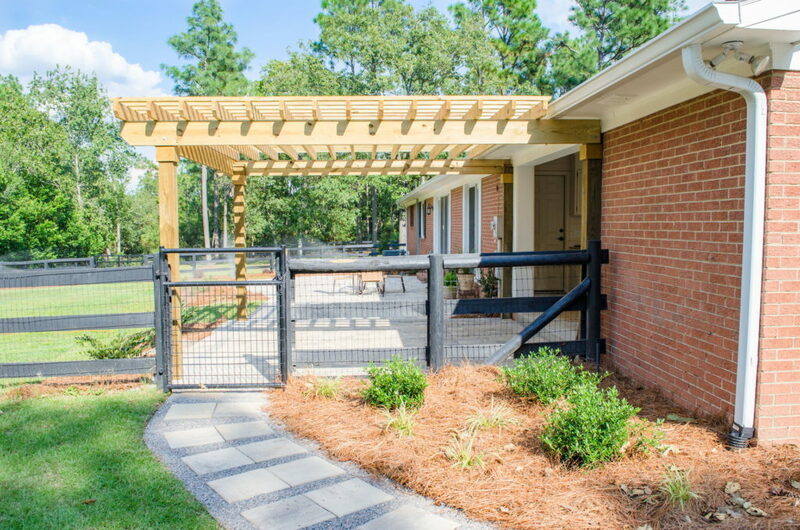 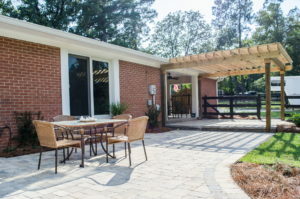 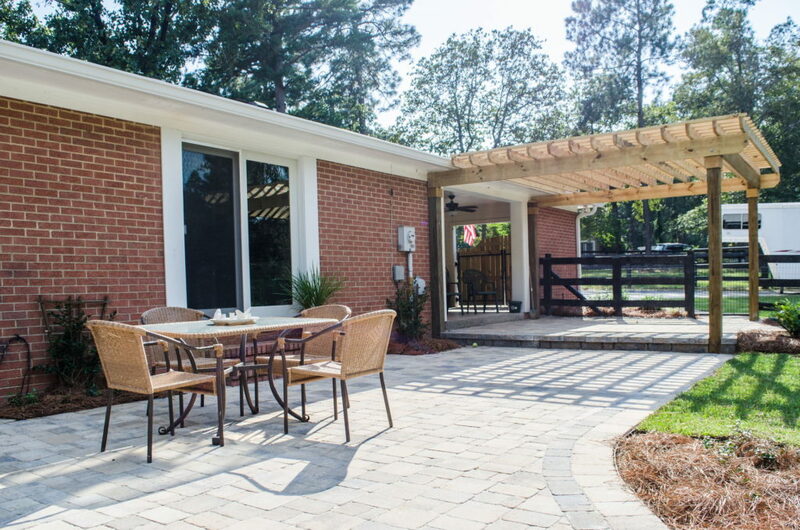 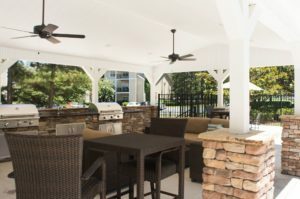 We love how the Pergola both extends the covered porch area, as well as transitions it into the open patio. 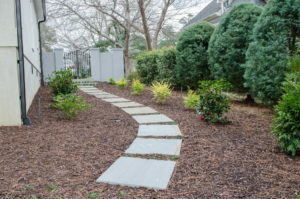 The stone and gravel pathways, and subtle flower bed work, make great finishing touches on this project.